The report contains a detailed description of the power generation company’s business operations, history, corporate strategy, and business structure. This report contains a detailed SWOT analysis, information on key employees (executives), and major products and services. 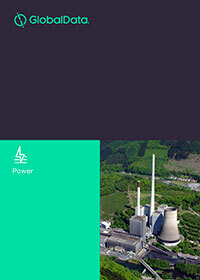 Major Power Plants (assets) - summarized and detailed information about the power plants (assets). Operational Metrics (capacity, generation, revenue, sales, number of consumers). Business description - A detailed description of the company’s operations and business divisions. Corporate strategy - GlobalData’s summarization of the company’s business strategy. SWOT analysis - A detailed analysis of the company’s strengths, weakness, opportunities and threats. Company history - Progression of key events associated with the company. Key employees - A list of the key executives and personnel heading key departments/functions. Executive biographies - A brief summary of the executives’ employment history. Important locations and subsidiaries - A list of key locations and subsidiaries of the company, including contact details. * Note: Some sections may be missing if data is unavailable for the company. Gain key insights into the company for academic or business research purposes. Key elements such as SWOT analysis, corporate strategy and major products and services are incorporated in the profile to assist in various business decisions (M&A and JV). Identify potential customers and suppliers with this report’s analysis of the company’s business structure, operations, major products and services and business strategy. Understand and respond to competitors’ business structure and strategies with GlobalData’s detailed SWOT analysis. In this, the company’s core strengths, weaknesses, opportunities and threats are analyzed, providing an up to date objective view of the company.